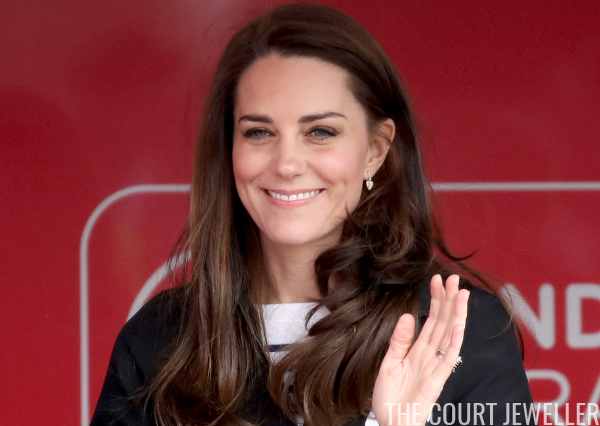 Kate wore one of her go-to sporty pairs of earrings for the day: the Kiki McDonough Lauren Earrings. 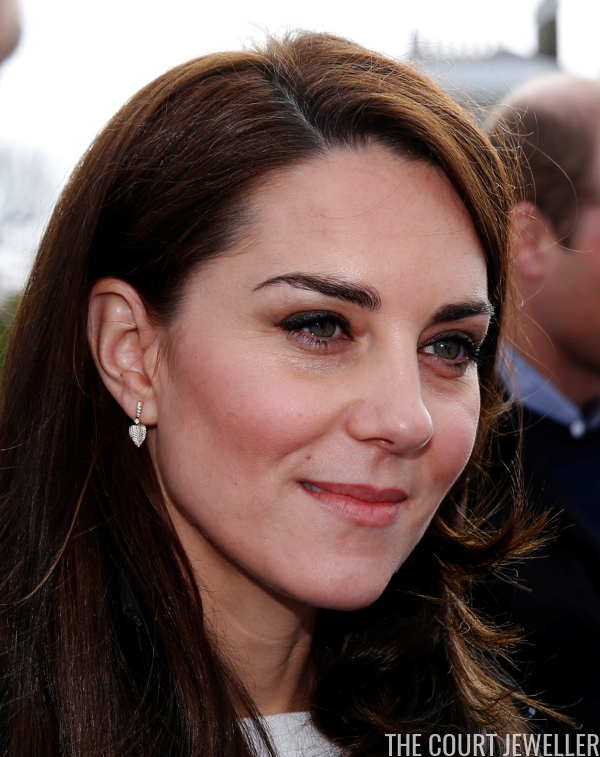 The pave-set earrings are shaped like curved leaves. 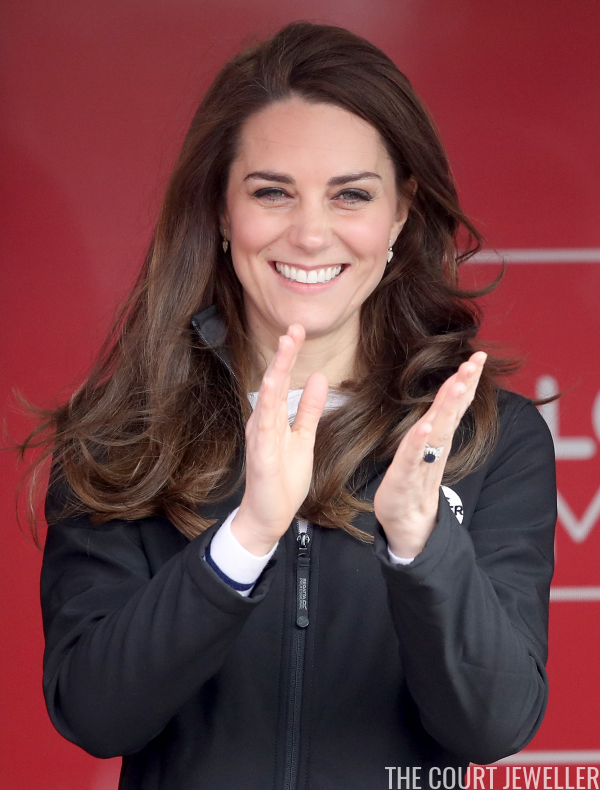 Her usual trio of rings (engagement, wedding, eternity) were visible as she cheered on the race participants.